Picking a right Los Angeles college is a big decision. The school you go to could have a significant effect on the rest of your life. It is also a significant investment of money and time. Just like with any investment, this is one you should not embark on thoughtlessly. Before committing, you should do a lot of research so that you can be sure you are headed to the right school. 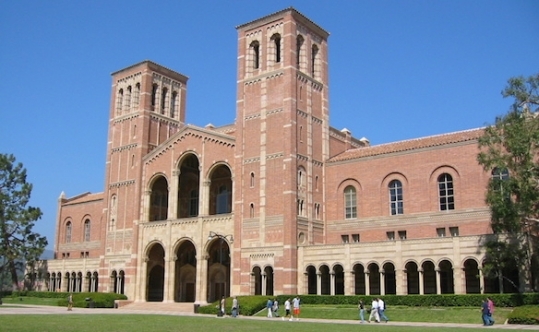 The following article will give you some ideas for how to go about your college search in LA. The choice of moving to Los Angeles to attend a college is a great decision. The opportunities in Los Angeles are immense. It is up to you whether you are going to use them, or you will fail at that. The reason why we wrote these Moving tips for Los Angeles college students is to give you a hand on using chances. And you surely need them. Because it is very easy to get lost in The City of Angels. That is certainly what you don’t want to happen when it comes to moving to attend a college in LA. The tips we are about to reveal to you are essential for all the students relocating to LA for the first time. One of the first things you think about in regard to college is your major. Knowing this can help you pick a school in Los Angeles that is just perfect for you. Different colleges have different strengths. Some have fantastic chemistry programs, but are lacking when it comes to the arts. Others may have some of the best literature professors in the country, but might not offer classes in complex mathematical theories. If you know exactly what you want your major to be, you can lessen your research to LA schools that have the program you want. If you’re not so sure about the specific major you’d like to seek, try to pick a more general area of study. You can figure out the particularities later on. Not everyone can afford to pay for Los Angeles college outright. Most students will need some kind of financial assistance to make it possible. Scholarships can go a long way toward paying for college, but for many, student loans are the only attainable option. So, when you look at Los Angeles colleges, consider what kind of debt you will be putting yourself in by going there. It is up to you to decide which school in LA will provide you with the best education for your money. Also, check on your budget before you start searching for the LA neighborhood where you will relocate. Los Angeles is an expensive city and moving there as a student means accepting much less comfort for paying a little less money. If you don’t have enough money to live near your college, find a place well connected to it by public transportation. The University of California Los Angeles is world-renowned and highly distinguished. Students immigrate from all parts of the globe to attend the California school. Their goal is to obtain one of the best educations in the world. UCLA’s primary purpose as a public research university is the creation, dissemination, preservation and application of knowledge for the betterment of the global society. Learning and teaching at UCLA are guided by the belief that students and their teachers belong to a community of scholars. This community is dedicated to providing students with a deep understanding of a broad range of disciplines. This is followed by the opportunity for in-depth study in a chosen discipline. Some other area campuses within city limits are California State University, Los Angeles and Northridge. Other private institutions include the Fashion Institute of Design and Merchandising and the American Film Institute Conservatory. As for primary and secondary schools, local students attend the Los Angeles Unified School District (LAUSD). This is the second largest area in the country. It has approximately 650,000 students in the system’s 900 schools and 187 public charter schools. After graduating high school, area youth uninterested in a four-year curriculum attend one of nine campuses locally to receive a two-year degree. There are two choices after you move to Los Angeles. Either you are going to live in a dorm, or you will be renting an apartment. In case you are up to for second option mentioned, get well informed about the costs of it. Get to know public transportation system. Every college student moving to the City of Angels should find out how the public transportation works there. Because you will be probably using it a lot. You should know, however, that the public transportation system is not very good. The city is really big, and it is not like any of the other big cities. Because it is very spread out, the public transportation is not functioning very well. When you flip the coin, it means you have so much more to explore. So, this not so good public transportation system maybe is not that bad after all! It can take several years to get to know the city which is a good thing. If you are going to Los Angeles college that is great because there will always be plenty of things to do and discover for many years to come. Take care of staying on a budget. It will make your life as a newcomer to Los Angeles much easier, and much less complicated if you don’t need to worry about the scholarship. Get a job. When you move to another city, it is much easier to live with an extra cash! It doesn’t matter if your parents are going to send you money. Once you move to Los Angeles, try to have some money source of your own. 0 responses on "Moving tips for Los Angeles colleges students"